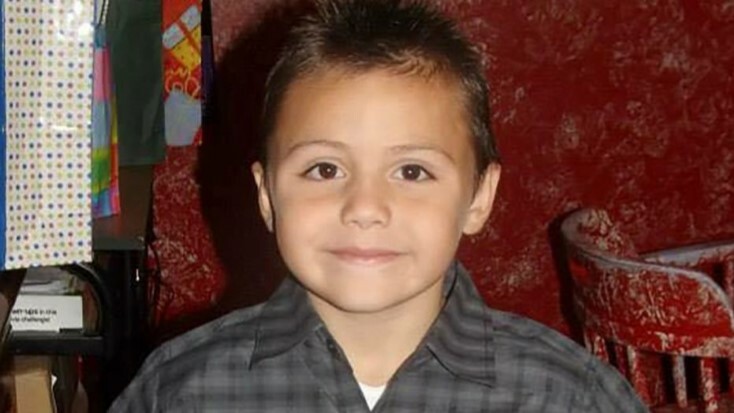 LOS ANGELES – An attorney representing the family of a 10-year- old boy who was allegedly tortured and murdered by his mother and her boyfriend in Lancaster called Tuesday for a criminal investigation into social workers who investigated allegations of abuse in the household. The boy’s mother, Heather Maxine Barron, 28, and her boyfriend, Kareem Ernesto Leiva, 32, are charged with killing the boy, and torturing him in the days leading up to his June 21 death. The two are awaiting arraignment Aug. 3 in a Lancaster courtroom. Claypool — who was joined by the boy’s father, Victor Avalos, and the boy’s aunt and uncle, Maria and David Barron — said he has obtained documents that are a “recipe for a criminal investigation,” noting that the records show 18 separate investigations into the household by DCFS over a four-year period beginning in 2013 and 88 alleged instances of child abuse, sexual abuse and child neglect. The Los Angeles County District Attorney’s Office declined to comment on the family’s request, according to a spokesman for the office. He said that he and his wife kept the children at their house “once the kids admitted to us about the abuse that was going on at the house,” but the childrens’ mother was deemed fit two weeks later for the children to return to their household and that he and his wife had done everything they legally possibly could since they were not the biological parents. The boy’s father — who wiped tears from his eyes during the news conference — told reporters he also wants justice for his son. About two years ago, the District Attorney’s Office filed charges against two former social workers and their supervisors, who are awaiting trial on charges of child abuse and falsifying records for allegedly failing to protect another boy — 8-year-old Gabriel Fernandez of Palmdale — from deadly abuse by his mother, Pearl Fernandez, and her then-boyfriend, Isauro Aguirre. Aguirre was convicted this year of first-degree murder and sentenced to death, and the boy’s mother was sentenced to life in prison without the possibility of parole after pleading guilty in the boy’s death. A county Office of Child Protection was also established to transform the child welfare system in response to Gabriel’s death. Last month, the county Board of Supervisors approved a motion by Supervisor Kathryn Barger calling for a thorough review of why Anthony wasn’t removed from his family home, despite multiple reports to the DCFS. 20 comments for "Slain boy’s family wants criminal investigation of social workers"
If you want to blame anyone besides the parents, blame the judge that left him with his parents. Nobody else really has any power other than a court order by a judge. Not a school. Not DCFS. And not the police. Dig a little deeper. … family members could only be bothered to concern themselves over the boy’s welfare, ex post facto. Dollar signs in their eyes, gaming the boy’s death, hot on the blood scent of a multi-million dollar settlement, they pretend to be beside themselves, playing it up after-the-fact, with the feigning crocodile tears. That’s Latin-american society for you. Not one iota did that boy’s extended family ever care about that boy, in the first place. And, everybody knows it. Did the family ever visit the kid or keep tabs on him? If they had they certainly would have noticed something was wrong. Of course now that the kid is dead he was their “precious little angel” but of course we all know what they are really thinking about is what color Escalade they will be driving soon. You want DCFS to be able to remove all the kids they need to? Then YOU become a foster parent and YOU approve a 10 cent sales tax increase so they can have enough beds and social workers, they don’t have unlimited funding and resources ya know. This boy was physically abused by his mothers boyfriend. He was also being sexually abused by his babysitter, which in the previous story stated his mother CONTINUED to take him there. This is disgusting. This child should have been out of the house, the social workers should have mad e sure he was not in the hands of his sexual abusers. Why were the other children not taken out as well? Was the babysitter charged with sexual abuse? Were there other children in this babysitters care? I’m so mad , these are questions that need to be answered and I’m sure the social workers would have more paperwork if they were the least bit inquisitive and thats why they didn’t dig too deep. The boy died because the social workers failed to do their job. They must be punished. They must be made an example. Someday you will learn 2+2, life is complex, you will learn, don’t worry you’ll get it. Iam not related to the family and I’m white, I too, want to see the social workers and all other authorities involved criminally investigated! Something has to change…the laws should be protecting the children, not the abusive parents! The abuse was known, reported and nothing was done to protect this little boy from being murdered. The workers allowed it to happen! You see, in the Latin American community, nothing’s ever their fault. That’s because, everything is always the fault of the American government. If they abuse their children? It’s always all our fault. Get it? Not True loco. If someone hurt your cat, would you not want restitution?